palmOne today announced that its board of directors has named Ed Colligan to the position of chief executive officer. Colligan has served as interim CEO since Feb. 25, and has been president of the company since June 16, 2004. Colligan also was named a member of the palmOne board of directors, effective immediately. palmOne Board Chairman Eric Benhamou said that Colligan's knowledge of the company and industry, his leadership skills and his performance during his tenure as interim CEO were key factors in the board's unanimous decision. "Ed has been a driving force for innovation in mobile computing. His outstanding record of leadership and his passion for the company and the industry distinguish him," he said. "We have conducted a comprehensive search of external candidates, and have also worked closely with Ed during his tenure as interim CEO. Ed has secured the confidence of the board, our customers, suppliers and employees, and we believe we have chosen the right leader for palmOne." Colligan said, "palmOne has an excellent opportunity to become the world's most significant mobile computing company, and I am honored and thrilled to be chosen to lead it. The industry is young and full of promise, and I'm confident we have the products, partners and talent to extend our leadership." Colligan, 44, has 20 years of management experience in a broad range of functional disciplines in the high-technology industry, including more than 12 years with palmOne and its predecessors. He joined Palm Computing in 1993, where he was vice president of marketing, responsible for the positioning, launch and marketing of the Palm Pilot and other Palm handheld-computing products. He was then a founder of Handspring, where he served in a number of executive-leadership positions, culminating in president and chief operating officer. He joined palmOne in October 2003 when Palm, Inc. spun off PalmSource, Inc., acquired Handspring and became palmOne. Before his promotion to president in June 2004, Colligan was senior vice president and general manager of the company's wireless business. His new title is president and chief executive officer. But's it's all on YOUR head now. If the LifeDrive turns out to disappoint us Power Users, you can't point behind you to Bradley! RE: MILK IT DRY, ED! Maybe a NSFW label would be good for those who are monitored and filtered? I don't know what the idea behind this, but I don't think this looks appropriate IMO. Uhhh, I don't think that's an appropriate way to react to news like this, I think posting an insultive picture like the link posted above is considered trolling, manners DO COUNT when people post. go pound sand, you big baby. I saw Gekko's original picture. You buncha sissies. the photographer who took it considers it "art". 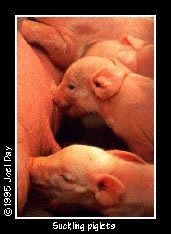 An infant suckling at a woman's teat. In all my years of using a POS device, I've NEVER seen a new buyer call one *that*. You can't shrug this off and blame it on a third-party. YOU guys have hacked together Garnet into your own Frankenstein monster. This means it is up to YOUR company to evangelize to third-party devs -- and to make sure YOUR customers are HAPPY. You CAN'T palm this off onto PalmSource! Your ship is heading into waters filled with icebergs. Wake up! If PalmOne is relying on the Life Drive to be its savior, then they are doomed. I truly hope that they have some other ideas for 2005. LifeDrive is a good product for a small number of users. It is no savior. Personally I'd rather buy a pocketdrive with 80GB and duct tape it to a Tungsten E. The LifeDrive is more expensive than the sum of its parts. Its price is outside the range of mass selling PDA's. Even if LifeDrive has double the sales of the T5, it still won't save Palm. It ought to be obvious where this is going. "If PalmOne is relying on the Life Drive to be its savior, then they are doomed. I truly hope that they have some other ideas for 2005." Yup, PalmOne needs to stop concentrating on their "power users" by developing monstrosities like this LifeDrive, and just concentrate on the things their "normal" users need and will buy - ie: a 256MB RAM Treo, a true followup to the M515/PalmV, etc. ...But after just reading that the biggest seller over at Handango last month was AOL (!!! ), I fear that my longtime affair with Palm devices has made me far out of touch with what people buy these things for anyhow. Perhaps Ed Colligan will do the truly revolutionary, and build AOL INTO the Palm. Wowsers. The LifeDrive is indeed not a mass-market PDA. The TE2 fills that role. The LifeDrive is not more expensive (for a consumer) than the sum of it's parts. You're talking about a high res PDA with wifi and a 4gb microdrive. I feel it's reasonably competitive. And I'm excited to see if this Ed character can put those mad marketing skills (they say he had) to work and make the Lifedrive a hit like the original palm was. Personally I'd rather buy a pocketdrive with 80GB and duct tape it to a Tungsten E.
Please READ your non-disclosure agreement. The NDA CLEARLY states you are not permitted to publicly discuss Palm's future models. The DuctTapeDrive™ must NEVER be mentioned again. Are we clear? The lawyers have been notified of your NDA breach and will be in contact with you tomorrow. What does any of this crap y'all are gabbing about have to do with Ed being elected CEO. Oh Yea! I really enjoy your critcism, its easy. Does not require any thinking. Some of you need a diaper change? Move on! Diaper change??? Seems like you are the one with the odd criticisms. Criticism NO, observation Yes...coincidence NO, smart move YES. Ed is probably the most knowledgeable and capable individual in this arena. He has proven himself time and time again. First at Palm, then at Handspring, and again at palmOne. Interesting how none of these knuckle heads posting ever see anything positive from palmOne. Yet they keep buying the products. So, lets condem the guy the first day. I think his track record speaks for itself. This guy started day one with Hawkins and Dubinsky. The inventors. He is still around. A testimate to EFFECTIVENESS. Ed, keep the faith, silence the critics, and power on brother...may the force be with you. Ummmmmm... the decision to build Palm's new model was made a LOOOOONG time ago, well before the CEO musical chairs game started. And guess what? Palm's 2006 lineup has already been decided too. Have a seat, Curly. Voice...NOW HEAR THIS...so what. You make no sense, translated..nonsense. What was the point of that post. What this board needs is some "thinking". Some positive feedback. If you feel so strongly, trade down to MS Pkt. PC, and please...transfer your wisdom to their board. [Colligan] is still around. A testimate to EFFECTIVENESS. Ed, keep the faith, silence the critics, and power on brother...may the force be with you. Fanboy (or are you Colligan's Mommy? ), put down your pom poms before Colligan hikes up your miniskirt and damages your a$$. Product decisions are made a year or more before the product actually ships. Secondly, the CEO only indirectly affects product decisions. Only a naïve dumba$$ would fail to understand this. Do you fail to understand this? The only knuckle head here is waiting for you in the mirror Go to him. Now. I didn't mean "literally" at the same time... The only point I was trying to make was of the fact that PalmOne is going through a major shift. Besides, I was REALLY only trying to shut-up JarJar and his big, criticizing mouth. Ed's Mom...NO Your Daddy...Oh yea! Product decisions are made in advance. However, they are conceptualized in an team that is composed of alot of different disciplines...engineering, marketing, manufacturing, supply chain partners, etc. Numbnuts, the CEO does have input, as does the President and assorted VP's. Nothing gets built and sold without their input. So, you go back to your Kindergarden class and continue teaching figerpainting, leave the the business to to big boys. Moyers still clueless as usual. Film at 11. The Clue Train just left the station, stranding you forever in Dumba$$ville. Population: You. I'm not sure if Colligan can be a trusted individual. I will see the amount of quality "output" Colligan emits from the look of the handhelds and its features alone, plus the refinement of palmOne's smartphone line. If, though, it comes to my attention that Colligan is NOT listening to its power user base and/or committed to listening to its minority at least once in a while, I am going to have to purchase palmOne stock, become a majority shareholder, and fire Ed Colligan for not listening to its power user base. I will use the handhelds as Ed Colligan's commitment to listen to its power user base. Uhhh, I don't think that's an appropriate way to react to news like this, I think posting insultive comments like the ones posted above is considered trolling, manners DO COUNT when people post. RE: I'd trust Colligan with Mike Cane's life. If Colligan has a brain he will go after mass market (i.e. Palm Vx, IIIxe, m505, Tungsten E) and ignore fringe power users. Of course, with a little creativity it's easy to keep power users happy while also hitting the center of the PDA market sweet spot. Finally, somebody with an intellgent post. Somebody other than myself is out there "thinking". Thank You. Voice. I take back all the cruel things I said. That was GOOD! Very thought provoking! I love you too, db.